this month, The Circle link up is all about fall favorites! autumn is my favorite season (like 95% of the blogosphere apparently) so this post was a fun one to write! fall means hay rides, pumpkin patches, scarves, chai tea, sunflowers, hiking, and so much more! one of my all time favorite things about fall is the weather! it is the perfect weather for just a few weeks where it's not too hot, not too cold, & there is that crisp in the air! i love being outside in the fall & it does amazing things for my soul! 5 | warm drinks! namely chai lattes or pumpkin spice lattes. i don't actually like anything pumpkin (pie, bread, tea, etc) but i do enjoy pumpkin spice lattes. i think it's mostly because the espresso drowns out the pumpkin flavor & it's not really pumpkin to begin with! also, because the first time i tried one was on my first date with my husband so it holds a special memory for me! 4 | sunflowers! sunflowers are my favorite flower ever! i used them at my wedding because they are so pretty yet so simple! they are like a little tiny sunshine of your own! 3 | apple cider! specifically, Trader Joe's apple cider in a crock pot with cinnamon sticks! because that is just more fun & it is so delicious! 2 | decorating pumpkins! although i don't like eating pumpkin, i love decorating pumpkins! 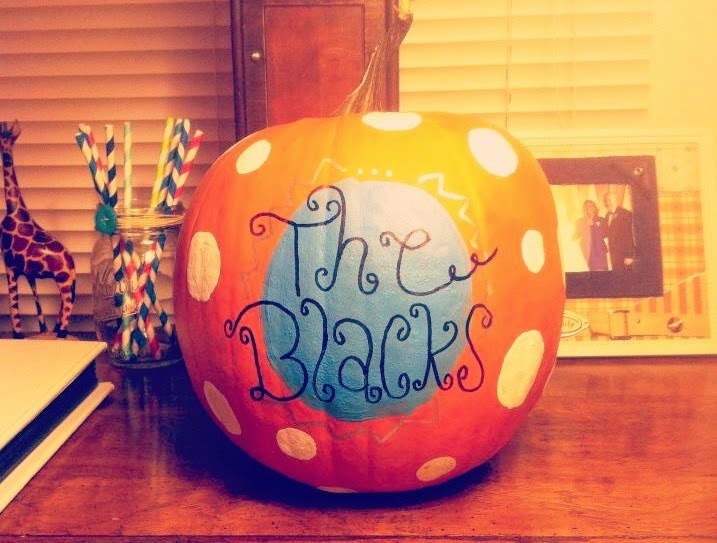 carving is fun & i love the outcome, but recently i've gotten into painting pumpkins! i love little white pumpkins & adding a cute design! i do want to paint an orange fox pumpkin at some point this year though! 1 | scarves, sweaters & boots! scarves are my lifesaver because i don't like turtle necks or anything touching my neck so closely. scarves keep warmth in but they are loose and i don't feel like i can't breathe when i wear them! plus they look cute & really add that extra flare to an outfit! i love sweaters because i love having something to cover up my arms, like a safety net. i guess that is an introvert trait! boots are a new thing for me! i got my first real pair last year & i just absolutely adore them! what are you favorite things about this season?! I love your fun list!!! Painting pumpkins sounds really fun and I might have to do that with my nephews when I visit them this year. & sunflowers! Girl, I'm from KS so you know I love those. 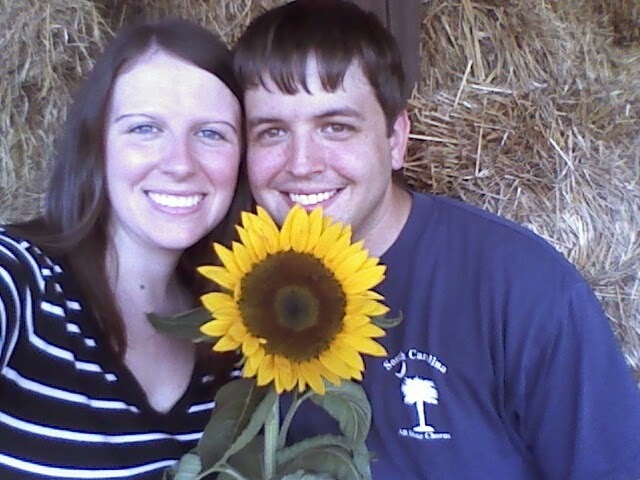 Also my mother-in-law loved loved loved sunflowers so we wear them in memory of her. They are just so bright and cheery! I love sunflowers and boots. you have a great list. Yes!! Love all of these!!! I also love your scarf!! super cute! Everything in this post makes my heart happy! PS lattes are so delicious + when they're enjoyed with a fall sweater they are even better. I am loving reading all these fall posts... makes me so happy the season is here! I'm still torn over painting or carving my pumpkin this year! I might just get two pumpkins and do both... My husband is carving his. With power tools. So that will be interesting. I need to try crockpot apple cider! We're hosting a pumpkin decorating party, and I knew I wanted to serve hot, cozy treats. That will be perfect! cider in the crock pot is amazing!! I love boots! I pretty much wore my brown boots every day last year. And scarves. I have way too many scarves. It's a problem. And I love the idea of putting cider in a crock pot. I can only imagine how it makes the whole house/room smell amazing! I am going to have to try your cider recipe! I am a big fan of cider and I absolutely love how it smells. With the cinnamon sticks I bet it smells incredible! AH! I love this whole list! Every single point is so good! But, my favorite has to be your outfit! 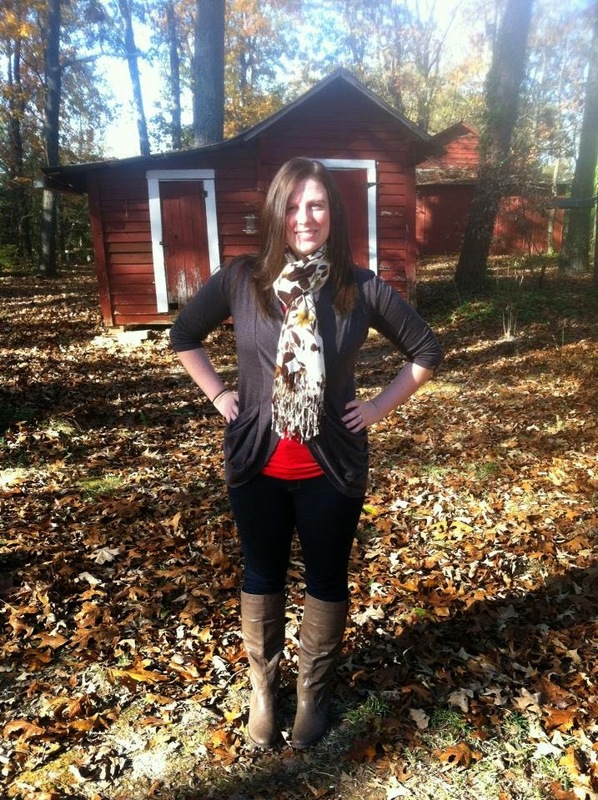 I'm all about the sweaters, scarves and boots too! Confession...I've never had a PSL. Nope... :) I'm glad you enjoy them, especially since they bring up a dose of nostalgia!!! I'm all about hot cider too! 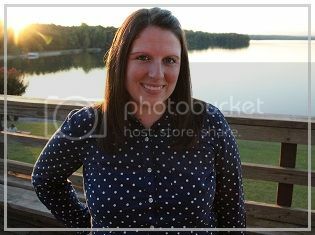 I just wish I could make it like my friend Rachael. Enjoy the clothes, the leaves, and the holidays!!! 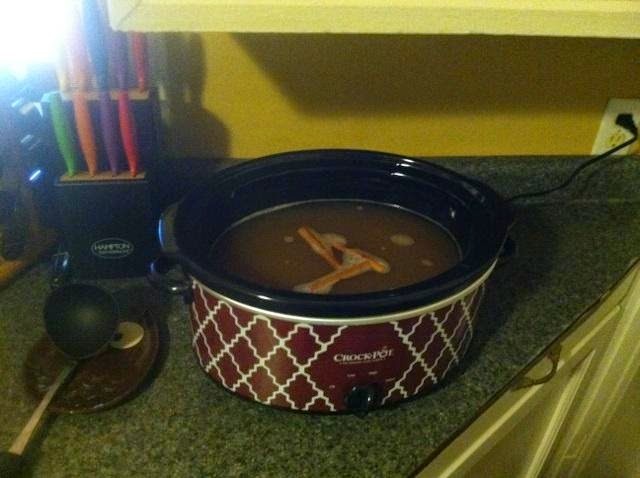 Love the idea of cinnamon stick with the apple cider in a crock pot. Definitely stealing that idea. Glad to find your blog through the link-up! I'm definitely going to have to try that apple cider! Yum! I found your blog through the Weeks End link up! I loooooovvveee your crock pot. I also love the outfit you're wearing in the last picture. I, too, love scarves and boots. I need to go boot shopping pretty quickly, though! it is very fun! and easier for kids to do than carving! :) haha i love me some sunflowers! i love the ones with the dark brown middle the best! thank you! :) sunflowers are my favorite, favorite! yes!!! everything is just so wonderful! :) haha winter stinks but fall is lovely while it holds off winter!!! you are right! there is something about wearing a sweater + drinking a latte! ha! :) perfect!! yes! do both! :) that's what we did last year!! hahaha power tools?! beast mode! the only way to drink it really! so happy! my favorites are the ones with the dark brown middle! :) i love the contrast in color! yes! the cinnamon sticks just add that fall flare! i never would have thought of it but my husband came up with that one! haha! no judgment here! :) i probably never would have if it wasn't for our first date! ha! steal it! it's the best! :) my husband came up with that! i am so glad you did, Nicole! :) isn't that crock pot so cute?! we saw it on sale at Target i think and i just had to have it! scarves are the best! last year was my first year owning real boots & i am so obsessed with them now! :) get on your boot shopping, girl! Yeah, he's incapable of doing anything the "easy" way. Like I asked him to make us a simple tea table for our bedroom. I just wanted it to be exactly like my bedside table that he built for me in just a few days two years ago, but twice as wide. But nooooo, he has to build a drawer, and multiple shelves, and doors. So it's not done yet, after months of working on it during his free time. He made great progress yesterday, though. It just needs to be sanded, primed, stained, and glossed now. I am so glad to find someone else who doesn't like the flavor of pumpkin. I might eat pumpkin pie if there is some ice cream to go with it, but otherwise NO. i just really can't do it! pumpkin pies look good - but i can't even make myself swallow one bite!